Atlanta is home to numerous top colleges and universities that attract students from all backgrounds and with a wide range of post-graduate aspirations. 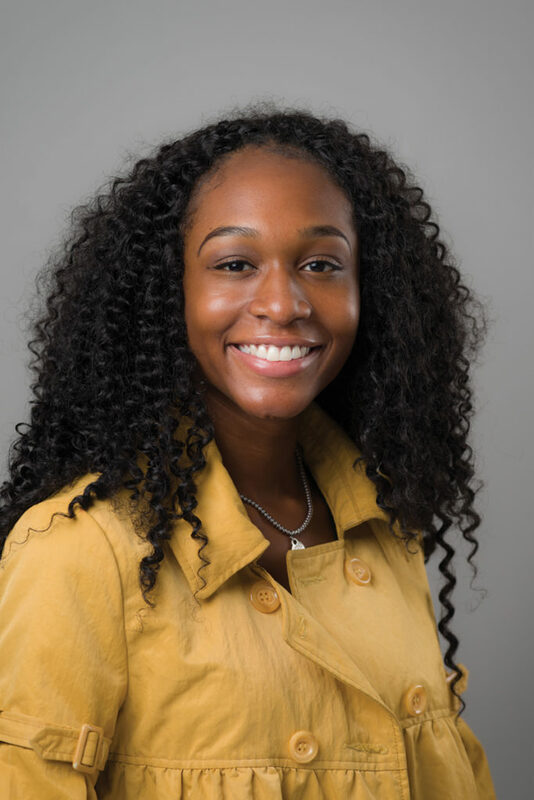 KNOWAtlanta spoke with several students who moved to the area to attend their school to learn why they chose the university, what they like most about it and whether they’re optimistic about working in Atlanta after they graduate. Charlotte, North Carolina native JaGerran Knight (pictured above) moved to Marietta, Georgia, to attend Life University, the largest chiropractic college in the world. 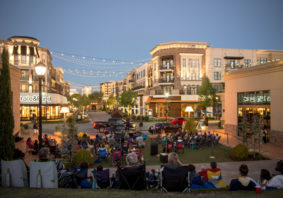 While in school, he is taking full advantage of campus life, as well as all of the dining, entertainment and outdoors activities available in Cobb County. In his own words, Knight tells us why you should consider Life in Marietta. Why did you decide to attend Life University? I decided to choose Life University because of the “vitalistic philosophy” [of the university] and beautiful energy of the students and faculty on campus. I felt that this school was home away from home. While in high school, I made my first visit to Life University via an event called “Life Leadership Weekend.” After that weekend, not only was I sure about receiving a great education and becoming a chiropractor, but I also knew I would leave Life University as a leader of my community and with a greater philosophy of life! What types of activities have you taken advantage of at the school and in Marietta? There are so many things to do in Marietta! Now that the Braves stadium has moved literally 10 minutes from my apartment, I enjoy watching Braves baseball games or just hanging out with friends at the many restaurants at The Battery Atlanta. I also enjoy going to the Marietta Farmer’s Market located in Marietta Square early on Saturday mornings. Whether it’s running the Chattahoochee River trails, exercising at Life University’s state-of-the-art wellness center, hiking at Kennesaw Mountain, biking the Atlanta Beltline, networking in the Cumberland area, or dining at my favorite farm-to-table restaurant, Canoe, there are so many things to enjoy in this area. Life University is home to some of the best student athletes in the world, especially our rugby program. 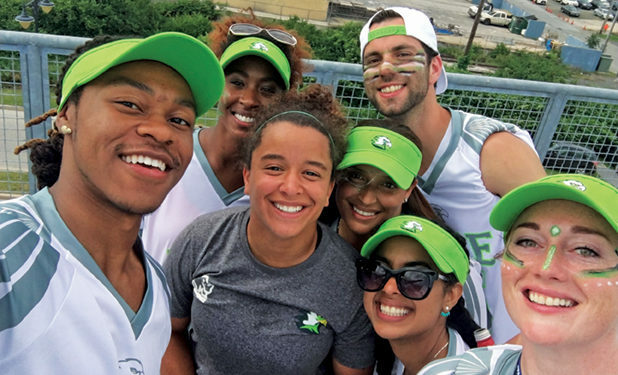 I love NFL football, but one of the highlights of my experience at Life University is traveling to the Collegiate Rugby Championship in Philadelphia to watch our women’s rugby team win against some of the nation’s top athletic programs! 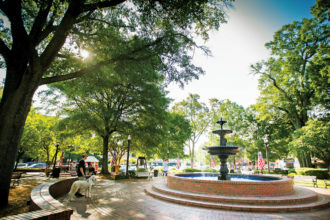 What is your favorite part about living in Marietta/Cobb County? I really enjoy the proximity of everything in this area. If I need to go to Cumberland Mall, it’s 10 minutes away. If I want to escape into nature, there are national parks next door. If I want great food, there are plenty of options. So although Atlanta traffic can be tough at times, living two minutes off I-75 at Element 41 helps me be efficient with my time. Why would you recommend this community to someone looking to relocate? I would recommend the Marietta area because although Marietta is currently growing, it still maintains its small-town feel. I live at Element 41, an apartment complex literally across the street from my university. This is awesome because I never have to worry about weekday traffic. My favorite hiking trails in the area are both the Chattahoochee and Kennesaw hiking trails. I love the fact that so many people are active and moving early in the mornings and late in the evenings — getting in a good workout. Families, couples, pets and runners all share space and enjoy the beautiful scenery in Georgia. Are you optimistic about your professional future with a job market in Atlanta? Atlanta will always have plenty of space for professional and entrepreneurial growth. With so much diversity, there are thousands of new faces with fresh ideas. I love the fact that Atlanta is home to many personal growth and business seminars, which alludes to the fact that everyone in Atlanta comes to Atlanta to experience growth, whether that’s personally, professionally or financially. Do you plan to stay in Atlanta long term? I am from Charlotte, North Carolina and I love my family and my hometown. However, Atlanta has given me a run for my money. 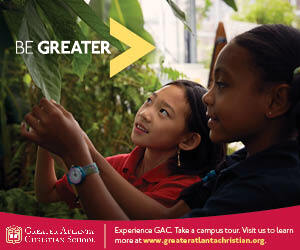 The greater Atlanta area, and Life University specifically, both have so much diversity. I have made friends from all over the world. I’ve been able to grow so much spiritually by attending gatherings at Passion City Church. I’ve grown mentally by challenging myself in the Doctor of Chiropractic Program offered at Life. I’ve been privileged physically by having healthy, organic options of food choices such as Whole Foods Market and farmers’ markets in the area. So, although I believe that God wants me to go back to Charlotte to open my chiropractic practice, I also truly believe that he will have me do some amazing work and within the city of Atlanta. I consider Atlanta my second home! What is your best advice for someone who has recently moved to the area? Get out and experience life here! 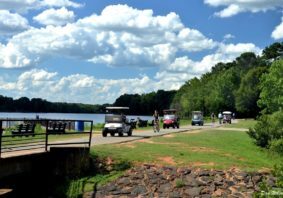 There is such a diverse list of things to do in north Atlanta and Marietta, such as coffee shops, hiking, shopping, and everything is within a short drive; that’s unheard of anywhere. 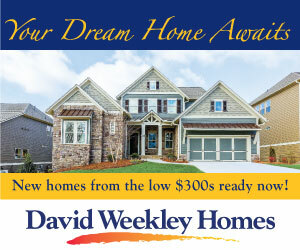 No matter what your personal preferences are, you will not be left out in Atlanta area! I feel so blessed to live here while pursuing my degree. I know that by choosing Life University, I am given the opportunity to explore my maximal potential to express myself and allow the world to do the same through receiving a holistic and “vitalistic” healthcare education, as well as serving my community of choice in the future. Valdosta, Georgia and Valdosta State University have a lot to offer. The city is known as one of the most beautiful, friendliest and affordable cities in the country. And the university certainly holds its own in these regards — just ask Tiana D’Acchioli, a Rhode Island native who moved to south Georgia to pursue her education. Why did you decide to attend Valdosta State University? During my senior year of high school, I utilized the College Board website to narrow my search for universities that would meet my expectations, both socially and academically. After narrowing down the results to a few selections, my parents and I toured a few campuses in South Georgia and parts of Florida. During that time, we toured Valdosta State and I realized it was a place I could easily call home. I felt very welcome and comfortable, and was simply awed at the beauty of the university. Since then, my heart was set! What types of activities have you taken advantage of at the school? Valdosta State University truly offers a lot of diversity in terms of the organizations and other forms of involvement offered for students. I have been lucky enough to become involved with the Honors College and the Honors Student Association, of which I was recently elected president. My time in the Honors program has truly enriched my college experience and I consider myself truly blessed to have the opportunity to take part in it. What is your favorite part about living in Valdosta? Living in Valdosta, for me, is essentially synonymous with living in Reade Hall, one of the traditional residence halls on campus. This living arrangement has helped me become involved in the community aspect of the Honors program, and I’m fortunate to live in a hall with many friends and in which so much bonding takes place. Additionally, the mild winters are a refreshing change from the snowstorms we have at home in Rhode Island! Why would you recommend this community to someone looking to relocate? I genuinely love my university. For students looking for a campus that offers them the ability to be unique, to take advantage of different opportunities on campus (like social activities and clubs, volunteer opportunities, study abroad programs, etc. ), and to form professional and advantageous connections with professors, Valdosta State is definitely the place to be. 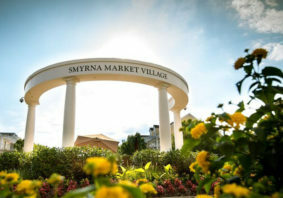 This, of course, is not to mention our warm weather, beautiful campus, friendly peers and our proximity to attractions such as Wild Adventures (or, alternatively and further away — Jacksonville beaches, Tallahassee events, Gainesville events, Savannah attractions, trips to Jekyll Island and more). Are you optimistic about your professional future with a job market in Georgia? I have seen several friends in similar programs to myself find fantastic opportunities to advance themselves professionally. I intend to pursue further degrees before finding a job in my intended field, but I would say that Georgia is a potential place for me to settle and build a career eventually. 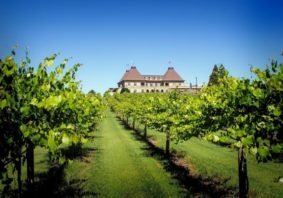 Do you plan to stay in Georgia long term? As of right now, I intend to follow the opportunities that will come with graduate schools. Unfortunately, the masters program I intend to pursue is not offered in schools around VSU or at VSU itself, but a return to Georgia is always a possibility! What is your best advice for someone who has recently moved to the area? For individuals who may have recently moved to Valdosta, get involved! For students and community members alike, the city of Valdosta offers a lot of potential community activities. I find that moving to a new place is always a much easier transition when you are able to find a place to call home, and friends who eventually become more like family. Also, if you have recently moved to Valdosta from somewhere with less rainfall, definitely invest in some rain boots and a quality umbrella! Boston native Taylor James has aspirations to attend law school, but first she must complete her bachelor’s degree. Keep reading to see why she chose Agnes Scott College for her undergraduate education, and how she fills the hours between studying in metro Atlanta with volunteer work, a part-time job and DJ gigs on local radio. Why did you decide to attend Agnes Scott? I am from Boston, Massachusetts, and my favorite history teacher’s daughter graduated from Agnes Scott. He had told me about the book “Colleges That Change Lives” by Lauren Pope, which includes Agnes Scott College as one of the featured schools. I ended up being accepted early action last November, and when the time came to choose my school, I decided to visit the campus in April. It was then after Achievement Weekend (a chance for prospective students to visit campus) that I decided Agnes was the school for me. What is your major and projected career path? I am double majoring in English Creative Writing and Africana Studies. I plan on attending law school after graduation. I want to practice law, however I also have a passion for the arts and a dream to start my own theater company. What type of activities have you been able to take advantage of at the school and in the community? Agnes Scott has one of the oldest standing Honor Codes and I am the President of the Judicial Board; I am a part of Tower Council (tour guide); a choir member in Joyful Noise; a DJ on T&T, a radio show on Black Ring Radio; I have been a part of the Student Calling Program; and I am currently the education chair of Agnes Scott’s chapter of the NAACP. What is your favorite part about living in Atlanta? My favorite part about living in Atlanta is the culture and diversity. Growing up in Boston, I attended predominantly white elementary and high schools and did not have the opportunity to be surrounded by individuals who looked like me. Why would you recommend this community to someone looking to relocate? I would recommend this area to someone looking to relocate because there are several different festivals, events, concerts and monuments like Stone Mountain that you can go to. Atlanta has a fun nightlife and many restaurants and plazas to choose from. Are you optimistic about your professional future with the job market in Georgia? Yes, I am an optimist when thinking about my professional future in the job market in Georgia. I have had an internship at True Colors Theatre Company in Midtown, and I currently work as a front desk receptionist at the Dekalb Medical Wellness Center. 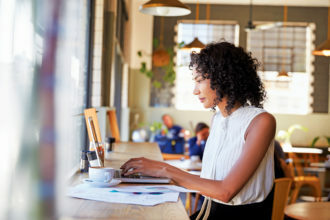 There are many opportunities to build a resume in Georgia, especially in the Atlanta area. Do you plan to stay in the area long-term? I am not positive; it depends on my plans after I graduate and what my academic — as well as professional — opportunities in Georgia will be. What’s your best advice for someone who has recently moved to this area? My best advice for someone who has recently moved here is that having a car is important.